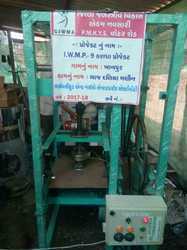 Prominent & Leading Manufacturer from Surat, we offer single die dona making machine, single die paper bowl making machine, single die paper dona machine and single die dona machine. 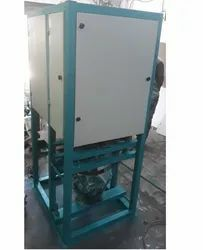 Model no gte-d1die size 4 to 14 inch.Paper material 80 gsm to 180 gsm.Production rate 1300 to 1500 pieces per hours.Power source 220v , 50 hz.Electric motor 1 hp, single phase.Electricity consumption 1 unit/hours.Weight of machine 200 kg approx. 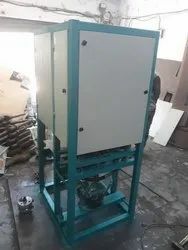 MODEL NO	GTE-D2DIE SIZE	4 TO 8 INCH.PAPER MATERIAL	80 GSM TO 180 GSM.PRODUCTION RATE	2700 TO 3000 PIECES PER HOUR.POWER SOURCE	220V , 50 Hz.ELECTRIC MOTOR	1 HP, SINGLE PHASE.ELECTRICITY CONSUMPTION	1.5 UNIT/HOURS.WEIGHT OF MACHINE	250 KG APPROX.